← District Heating: Desirable, but Portable? On our first full day of study (5/13/13), the USM MBA Denmark Energy Study Tour had the privilege of a meeting with the City of Copenhagen. With an urban population of approximately 1.2 million (approx. 560k in the city center), the city is planning far into the future while striving to meet some very ambitious green goals. The city’s ultimate goal is to become carbon neutral by 2025 despite a steadily rising population. The city plans to meet this goal through a combination of 12 sustainable city solutions focused under 4 broad areas; mobility, water, energy, and strategy. I find it both amusing and telling that the city of Copenhagen even has a strategy for its strategy! Though after meeting these highly organized, practical, and forward-thinking Danes, I guess I should not be surprised. After hearing about the amazing plans that the city has in the works, I immediately thought; is this happening now, or could this happen in major cities in the United States? I assumed that this could certainly not be happening in metro Detroit where I was born. After all, the city just had to install an emergency manager who stated recently that, “Detroit is clearly insolvent and could face a possible bankruptcy if talks with labor unions and creditors do not make substantial progress on easing the city’s cash crunch (Carey & Neavling, 2013).” Additionally, Detroit is the home of the big three American auto-makers, so there is a history rich in fossil fuel dependency. 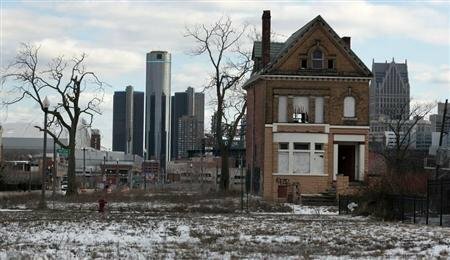 So is all lost for Detroit and other American cities like it? After all, how could a city in the depths of financial insolvency (and so dependent on fossil fuel) hope to recover to the point where it could be considering carbon-neutral aspirations??? Just ask Copenhagen, Denmark. Several times throughout our course, the Danes we met (and our professors), referenced the oil crisis in the 1970’s which hit Denmark especially hard. The city of Copenhagen suffered too, experiencing a major loss in population (and related tax revenue). The city and Denmark as a whole knew that something had to be done. Over the next 40 years, they have managed to completely turn things around. In fact, the city of Copenhagen was just named the 2014 European Green Capital. Clearly the city is doing many things right and I will go into what I consider to be their most interesting (and relevant to Maine) initiative in another post. But, I find myself coming back to my initial question; is this happening now, or could this happen in major cities in the United States? I took to my favorite source, the internet, to help me answer this question. 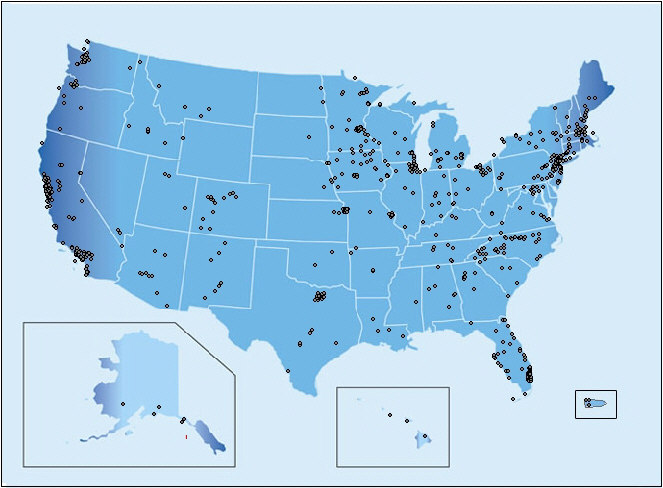 Within moments, I found this site: http://www.usmayors.org/climateprotection/revised/. This is the website for the United States Conference of Mayors Climate Protection Center. If you’re curious to see exactly which cities/mayors are participating, you can locate the map on the website where you can hover your cursor over each state and view a list of participating cities. I was especially happy to see that Portland, ME is a participant along with several cities in Michigan where I have resided over the years. At this point, I must also eat my words from earlier when I said that there was no way Detroit could handle any type of carbon neutrality commitment. As you can/will see on the map, Detroit, Michigan has also signed the agreement. This goes to show you that the time is never wrong for positive action and change. Both Copenhagen and Detroit know that a city can spring back from even the darkest times and start anew.I hope for my family who still resides in the Detroit area and the rest of the world’s residents, that every city can make Copenhagen’s plan a reality. This entry was posted in Community planning and development, Policy - energy and climate change, Uncategorized and tagged carbon footprint, Climate change, Climate Protection Pact, environment, global warming, Kyoto Protocol, U.S Citites, U.S. Mayors. Bookmark the permalink.